It's a pretty good time to be a grad. As they prepare to graduate and start their careers, members of the class of 2016 can expect to arrive in a job market that's the most welcoming in years. Both the National Association of Colleges and Employers (NACE) and Michigan State University conducted surveys last year that indicate employers will be hiring between 11 and 15 percent more recent grads, at higher salaries this year. The industries hiring the most grads, according to the MSU study, include scientific consulting, accounting, engineering and scientific analysis, healthcare, and education. 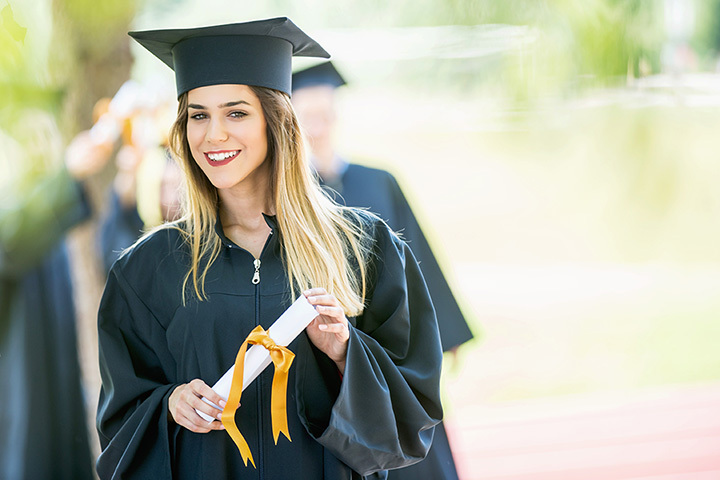 Grads heading into these fields are likely to enjoy a wide range of opportunities and better starting pay than those in declining or stagnant fields such as manufacturing, the petroleum industry, and law. But for grads in the market for a career that's a little (or quite a lot) different from the mainstream, we've collected seven unusual opportunities that may not be the standard nine-to-five, but offer some truly unique ways to bring home the bacon. You might not think of LEGO as high art, but the fact is, the Danish company with little blocks for building big projects has partnered with a bevy of accomplished creative professionals to create masterpieces for both public and private collections. The company's also accumulated 40 Master Builders-experts in designing and building outside the traditional LEGO box-seven of whom are Americans. If you've got a burning desire to build, you'll need to climb the LEGO ladder with an apprenticeship. You'll also need maximum creativity, plenty of patience, and a little luck. But if you manage to land one of the company's coveted Master Builder positions-or team up with them as a LEGO Certified Professional-you could find yourself building your own stairway to professional heaven. What you'll need: A degree in art, architecture, engineering, or design; familiarity with 3D modeling programs; an outstanding LEGO portfolio. Expect to earn: Around $38,000/year for Master Builders; Certified Professionals have the potential to earn much more. NASA needs a few good men-and women-to travel to the Red Planet, and you could be one of them. The space administration is currently accepting applications for their Orion Deep Space program, as well as more "down to Earth" programs working with the International Space Station and a pair of commercial crew vehicles. The agency is accepting applications through mid-February 2016, and expects to announce their decision in 2017. Candidates will be selected from a wide pool of applicants that includes engineers, educators, physicians, pilots, and scientists. Every kid born in the past thirty years has probably had a moment or two where they've daydreamed about playing games for a living. And while actually playing games for a living might not be a viable career choice for everyone, the next best thing-testing video games before they come to market-is certainly within the reach of anyone who loves games.? Video game testers aren't necessarily spending their days kicking back with their favorite franchise. Instead, like a lot of quality control professionals, they perform a lot of rigorous (and repetitive) testing to make sure games look, sound, and play like they should. The hours are long, and the pay is often surprisingly low, given the amount of technical acumen involved. That said, it might not be lounging on the sofa with snacks and Skyrim, but if you're into the mechanics of game design and enjoy making sure games are functional AND fun, this could be the gig for you. What you'll need: Requirements vary, but you'll definitely need a working knowledge of gaming tech, including consoles, PCs, and mobile devices. Some positions may prefer (or require) you to speak and write multiple languages. Oh, and a deep, abiding love of long hours and plenty of overtime. If you're the literary type, you might have big plans to put your MFA to use as a novelist or an award-winning journalist. But until you finish the Great American Novel or snag that Pulitzer, you might want to consider a job that's fun, demanding, and pushes creativity to the limit: writing fortune cookie fortunes. They might seem like something a clever soul could dash off by the dozens in their spare time, but finding something fresh, fun, memorable, and inoffensive that will translate across various age groups, cultures, and classes can be a real challenge. Especially when you're trying to avoid repeating one of 10-15,000 existing fortunes already in your employer's database. What you'll need: A knack for writing pithy and poetic prose that pushes people to keep and share their fortunes; the ability to meet deadlines and produce high volumes of work. Expect to earn: Rates vary, but will likely be tied to freelance writing rates for your area. The healthcare industry is massive, and offers opportunities to graduates from a wide variety of majors-not just traditional medicine. If you've got plenty of compassion and an interest in helping others during difficult times, you might be interested in becoming a bereavement coordinator. These mental health professionals aren't necessarily on the front lines offering counseling to those coping with the loss of a loved one, but they do organize and create programs for the counselors who do. Bereavement coordinators often work in hospitals, hospices, and nursing homes, where their expertise is put to use helping others deal with grief and loss through special programs. What you'll need: A four-year degree; familiarity with, and possibly experience in dealing with, the standard practices and procedures of the field; a desire to work with others and the ability to handle significant emotional stress. Did you like to play in the dirt as a kid? Are you concerned about the health and well-being of Mother Earth in this age of environmental calamities? Then soil conservation science might be right up your gulley...er, alley. Soil conservationists work with governments and corporations to make sure the projects they build-from parks and roads to shopping malls and casinos-minimize or eliminate soil erosion and reduce environmental impact. They also develop practices for sustainable land use, informed by land-use surveys. The United States Department of Agriculture is just one of numerous agencies employing soil conservationists as a part of government efforts to promote responsible land and resource use. What you'll need: A degree in soil conservation or related agricultural/scientific disciplines; specific course requirements (may be covered as part of your degree, depending on your major); a desire to keep the great outdoors great. Life in the Internet Age generates a lot of data. With every tweet, online purchase, or research project, we consume, and create, loads and loads of data. The job of a data scientist is to collect and analyze data, then use their discoveries to help improve website performance, predict consumer behavior, or even rework the algorithms that support the way we see and use data on the Web. We're still not sure if it's the sexiest job of the 21st century, but it IS one with plenty of opportunity and room for advancement in a massive range of industries and disciplines.